The Joyetech eVic VTwo Mini is the updated version of the popular eVic-VTC Mini. The Joye eVic VTwo Mini features updated 4.02v firmware allows the device to fire up to 75 watts and updated temperature control modes. The Variable Temperature Control system can now offer support for Nickel (Ni), Titanium (Ti), and Stainless Steel 316 (SS316) coils. The Joye eVic VTwo Mini also features Bypass and Temperature Coefficient of Resistance (TCR) modes. 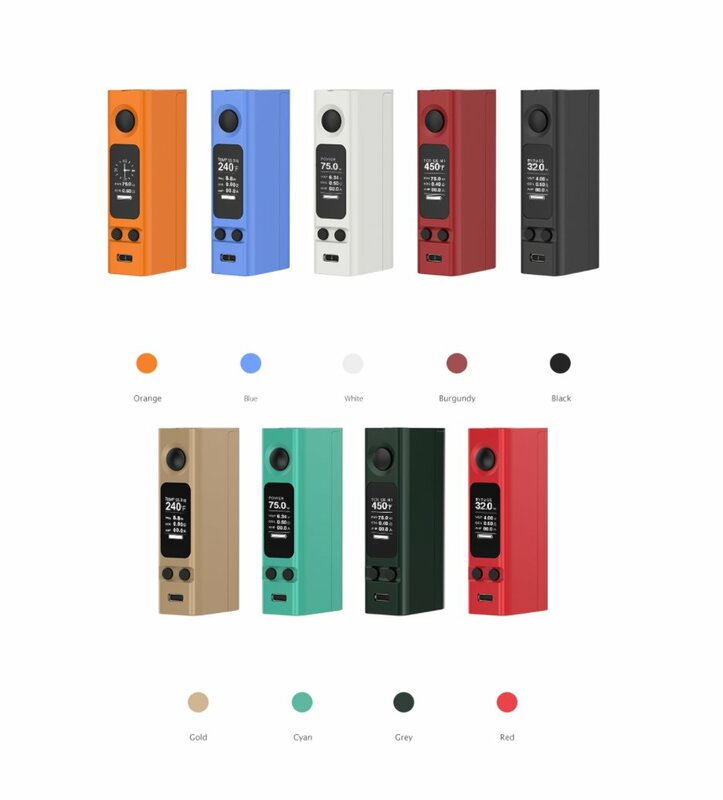 The Joye eVic VTwo Mini requires (1) high amp 18650 battery (sold separately) which may be replaced using the convenient magnetic battery door. The eVic VTwo Mini features a super large and clear OLED display screen which supports custom logos. The eVic VTwo Mini features a real time clock display which presents the current time in either dial or numerical display mode. The eVic VTwo features a dual circuit protection which applies over-charging, over-current, and over-discharging protections. This device may be charged and also download future firmware updates via the micro USB port.